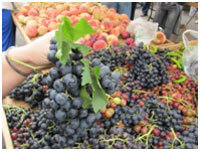 The inspection of fruits and vegetables is generally funded by growers of the commodity inspected. In some instances the CDFA will contract with the Commissioner to inspect fruits and vegetables for quality and labeling at retail outlets. Standards pertaining to quality are generally specific to the commodity grown. Regulations require that fruits and vegetables packed in the field be labeled with the identity of the grower or packer, the name of the commodity and the quantity in the carton or package. 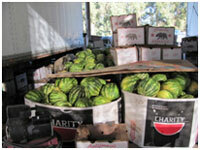 Some commodities such as watermelons are exempt from standard packaging and are harvested and packed in large bins. In many cases stickers are placed on each piece of fruit indicating where it was grown or packed and the name of the grower or packer. This can be an advantage for the consumer who is interested in buying only domestic produce or produce grown in a particular area such as California. 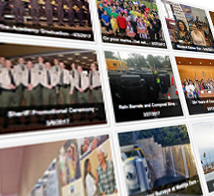 Citrus Inspection is an example of a program which is funded by the industry in Ventura County. 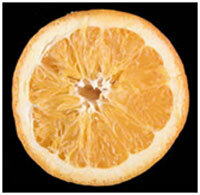 Citrus fruit, mainly oranges and lemons, are inspected for maturity and quality. When temperatures fall below freezing oranges and lemons are inspected for freeze damage.